Let's get this out of the way up front: The market for the Thrustmaster T300RS isincredibly narrow. At $400 (the price of a PlayStation 4!) it's far beyond an impulse buy and demands you're taking every aspect of your living room racing experience Very Seriously. That's something I discovered when the company sent me a demo unit to try. You see, at Casa de Seppala, my couch sits about 6 feet from my 65-inch TV. In between those two are an area rug and a coffee table I got for $75 on Craigslist. 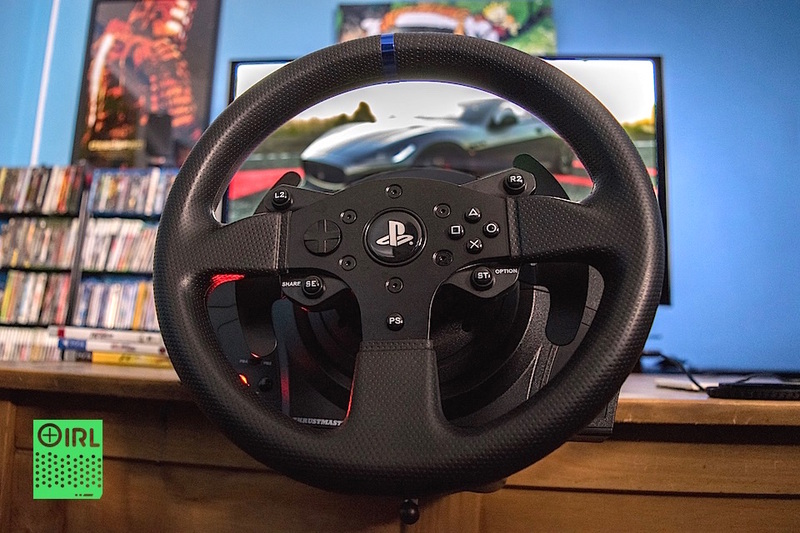 It's an awesome setup for movies and every other game I've played, but when it came time to put the T300RS through its paces, I couldn't figure out if the wheel was ill-suited to my space or vice versa.